This book tackles the question: how can an engineer with a powerful finite element program but modest background knowledge of mechanics solve unfamiliar problems? Engineering educators will find this book to be a new and exciting approach to helping students engage with complex ideas. Practising engineers who use finite element methods to solve problems in solids and structures will extend the range of problems they can solve as well as accelerate their learning on new problems. 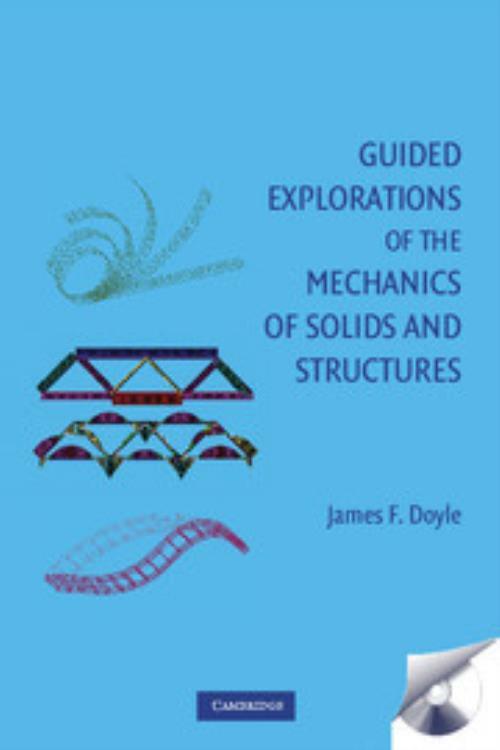 This book's special strengths include: - A thoroughly modern approach to learning and understanding mechanics problems - Comprehensive coverage of a large collection of problems ranging from static to dynamic and from linear to nonlinear, applied to a variety of structures and components - Accompanying software that is sophisticated and versatile and is available for free from the book's website - Ability to complement any standard finite element textbook. 7. Constructing simple analytical models. James F. Doyle Purdue University, Indiana. James F. Doyle is a Professor in the School of Aeronautics and Astronautics at Purdue University. His main area of research is in experimental mechanics with an emphasis on the development of a new methodology for analyzing impact and wave propagation in complicated structures. The goal is to be able to extract the complete description of the wave and the dynamic system from limited experimental data. Special emphasis is placed on solving inverse problems by integrating experimental methods with computation methods (primarily finite element-based methods). He is a dedicated teacher and pedagogical innovator. He is the winner of the Frocht Award for Teaching and the Hetenyi Award for Research, both from the Society for Experimental Mechanics. Professor Doyle is a Fellow of the Society for Experimental Mechanics. This is his fifth book, after Propagation in Structures, 2nd edition, Static and Dynamic Analysis of Structures, Nonlinear Analysis of Thin-Walled Structures, and Modern Experimental Stress Analysis. He is the co-editor (with R. Al-Kouri) of The Spectral Element Method.